The college is the only agricultural Marketing Institute of the country. And is best in all fields. It is the best experience of my life which i am spending in NIAM. There is the lot to learn and practical approach is more focused for learning things. 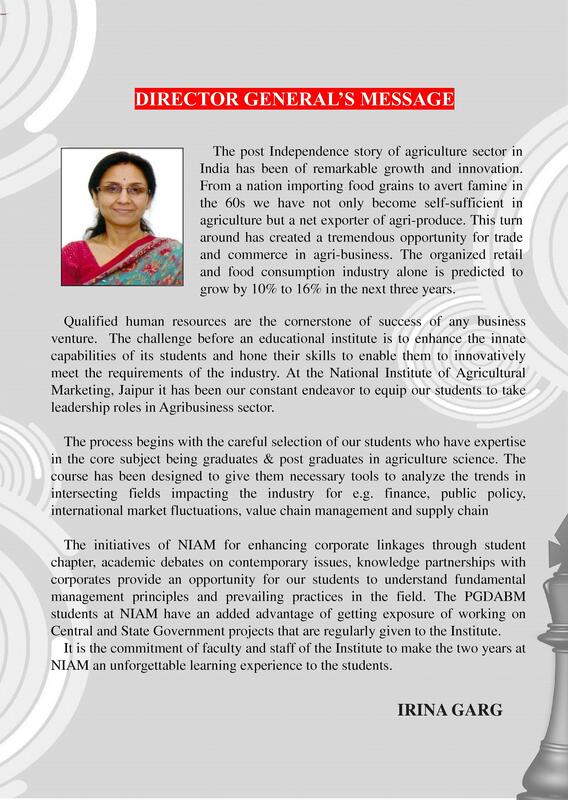 National Institute of Agricultural Marketing (NIAM) is a premier national level institute set up by the Ministry of Agriculture, of India to cater to the needs of agricultural marketing personnel in India and South East Asian countries. 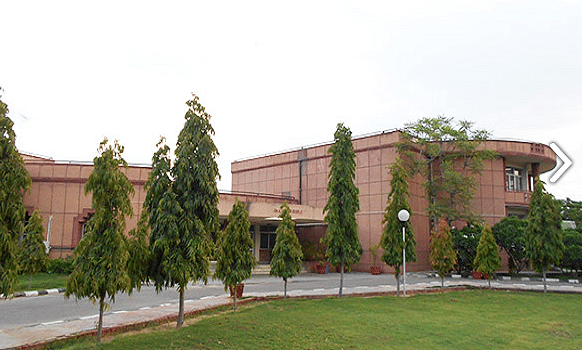 NIAM was established on 8 August 1988 at Jaipur, Rajasthan, as an autonomous body set up as a registered society. 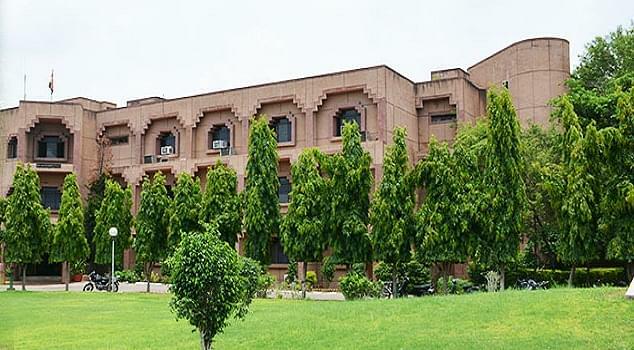 The institute is dedicated to Chaudhary Charan Singh, the fifth prime minister of India from where it derives its full name, the Chaudhary Charan Singh National Institute of Agricultural Marketing. 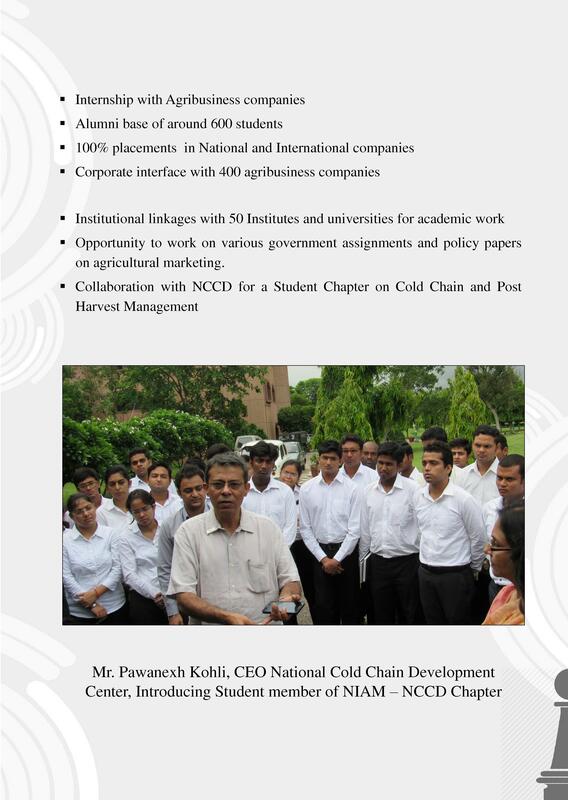 It was founded in 1988 as National Institute of Agricultural Marketing (NIAM). 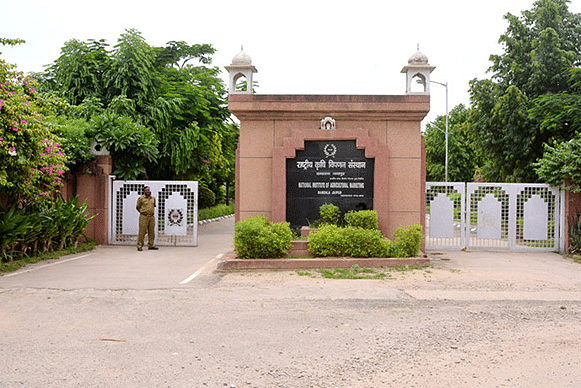 The Campus of the National Institute of Agricultural Marketing is situated m a 32 acre plot of land on the outskirts of Jaipur City. 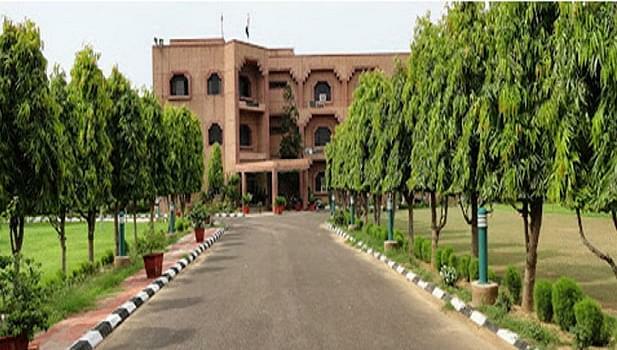 The campus is on National Highway No.12 connecting Jaipur with Kota. The main objectives of the institute are to impart training to various levels of functionaries to conduct research, to offer consultancy services and education to develop promising human resources in order to meet the new emerging challenges in the field of agricultural marketing. 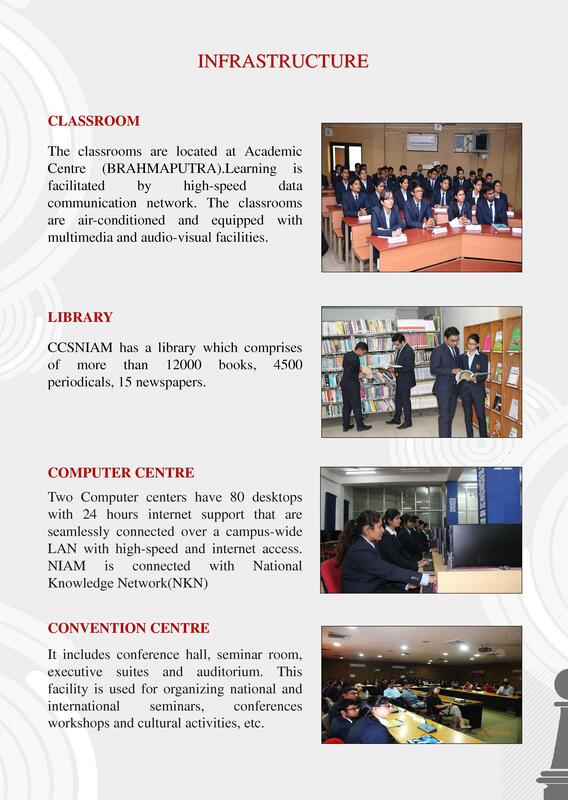 Has a vibrant campus with inspiring faculty. The institute has dedicated team of professors, assistant professors and senior lecturers assist the department heads to effectively carry out the academic programs and they are the backbone of the institute.